Souffle Tarts - Let the Baking Begin! 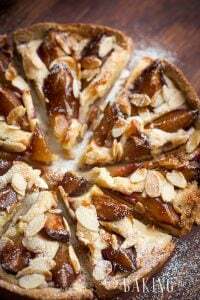 Shortbread Tart shell filled with Plum Butter and tenderly Soft Souffle. I guarantee you’ve never had anything like this! These tarts are a spin on a classic tart made with shortbread cookie crust, filled with tart jam and topped with meringue that is then supposed to dry in the oven. My mom used to make that kinds of tarts when I was a kid. She still says it’s her favorite type of tart and every year when she makes a batch of apricot jam, she says she will use it to make tarts. 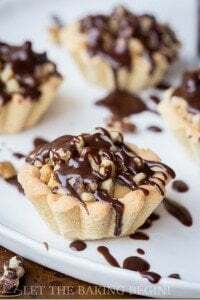 Walnut Tartlets – Simple tartlets with a dulce de leche cream. Cherry Galette – Pastry tarts with cherry filling, almond flakes, and whipped cream. Apple Caramel Hand Pes/Tarts – Yummy apple pie desserts! In a stand mixer fitted with paddle attachment, mix the egg yolks, the egg and sugar together. Add the butter (room temperature) or the shortening and thoroughly mix again. Add the flour and the baking powder until the dough starts to come together. Gather the dough into a ball and place it in the refrigerator for 1 hour. Divide the dough in 3. While we'll be working with 1 part, leave the other two in the refrigerator until we are finished working with the first one. Take the dough and roll it with the rolling pin, to a 0.5 mm thickness. Make sure the dough doesn't stick to your working surface by sprinkling it with flour. Cut out circles 2 cm bigger then your tartlet molds. Fit them inside the moulds and pat the dough in with your fingertips to make sure there's no air underneath. Bake, until golden in color or about 15 minutes. Put 3/4 of a teaspoon of plum butter into each tartlet. Set aside. Sprinkle the gelatin over the water and let it dissolve completely. Add half the above amount of sugar and half of the citric acid. Whip the egg whites with the remaining citric acid and add the sugar in 3 addition. Careful pour in the gelatin mixture into the whipping egg whites. 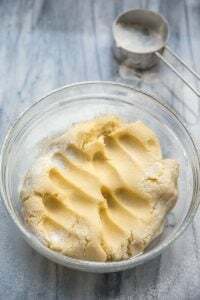 Separately whip together the butter and condensed milk. Gradually add the butter and condensed milk into the whipping egg whites. Pipe or spoon the soufflé into filled tartlets quickly before it totally generalizes, but a second after it starts to hold it's shape enough to be topping the tarts . 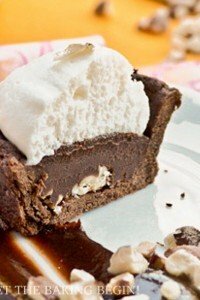 Place in the refrigerator until the souffle firms up. Thank you for all your amazing recipes. I make tartlets often and usually have to take them outside of my home to an event. I have been on a search to find a way to transfer these babies without them getting all over the place and messy. Do you have any good tips or ideas? Maby special boxes? Do these souffles need to stay refrigerated until served or can they stay out at room temperature before serving 30min to 1hr. They are best served cold, but should be fine staying out for up to 1 hour. Basically the soufflé is ptiche moloko, just like in the ptiche moloko cake,- and that cake stays out just fine. First sentence says this ” These tarts are a spin on a classic tart made with shortbread cookie crust, filled with tart jam and topped with meringue that is then supposed to dry in the oven.” – by which I meant that these tarts are similar, but still different from the ones dscribed in the first sentence. These ones are filled with Birds Milk kind of souffle, but the classic are filled with dry meringue (egg whites+ sugar= whipped and then dried in the oven). You mean the first step of making the tart dough? Usually if it says “mixed” it just means to bring everything together until well combined, not any certain consistency. thanks for the response. I got ya! At what temperature did you bake the shells? I am thinking to add lime jello in the soufflé to have the green color. If I do that than I am thinking I won’t need to add the Citris acid. Is this correct? What would you recommend? I added an affiliate link within the post, if you click on it it will show you a picture of the one I use. Basically you just need 1 cup of crisco butter flavored shortening. Wether you use the individual packs or just scoop 1 cup from the big tub, doesn’t really matter. You can even use butter, but Crisco does produce a finer and more tender crumb. I hope your tarts turn out beautiful and delicious! how much water do i mix the gelatin with because it doesnt say and i followed the directions on the gelatin box and it was watery. please clarify the filling. 1/4 cup water is mixed with gelatin. 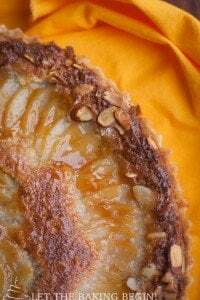 I apologize for not being able to fix this within the recipe, due to some glitches on the website I am unable to edit the recipes at this time, but as soon as I can do it, I will add the water to the recipe. They look absolutely delicious, I will definitely try making it soon! They used to make something like this at the cafe in Ternopil! 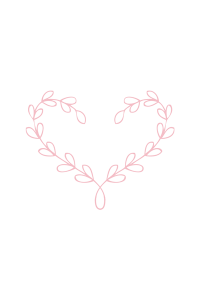 I loved it and did not know how to make it. They seemed to use cooked condensed milk and add walnuts to the plum jam. In any case you made my day!! Marina i was just wondering tu vareniy condensed milk dayesh or the regular?